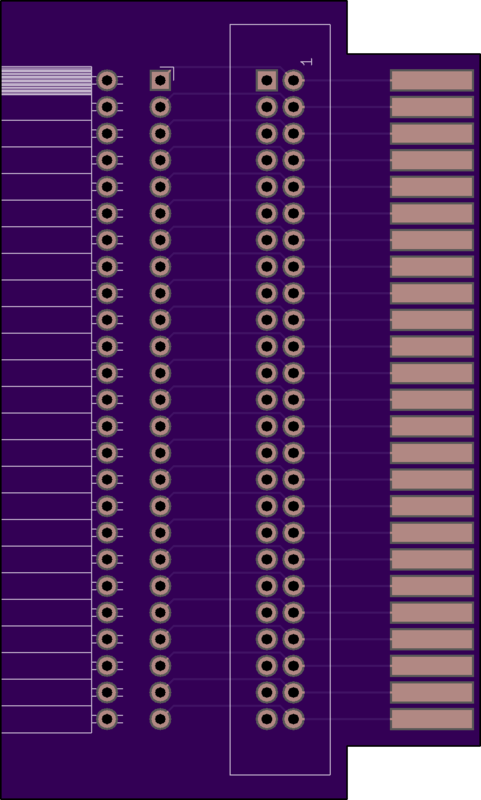 2 layer board of 1.81 x 3.01 inches (45.9 x 76.4 mm). Uploaded: July 13th, 2017 04:28. A Mother4X Compatible Expansion Port Connector for the Amstrad / Schneider CPC 464. 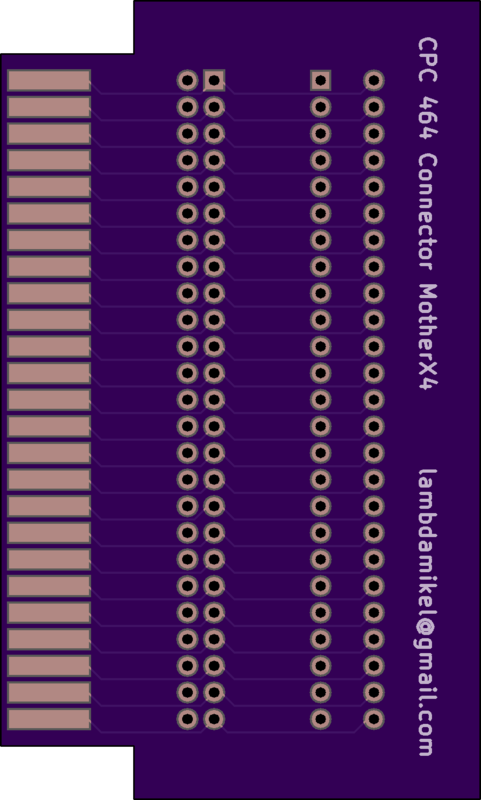 Use an angled 2x50 Card Edge Connector for CPC 464 expansion port connector, and a 2x25 Shrouded IDC Box header (male), or a 2x25 Female Pin Header to plug in a M4X compatible CPC expansion card. Notice that the expansion port is all pass through, so you don’t lose the port.